Gina Barton from Tamworth has been in touch to alert readers about the imminent closure of her beautician business. 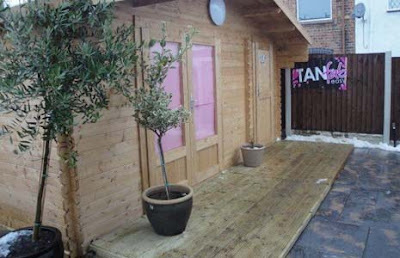 "I've been running my spray tanning business from my shed at home for 12 months," she says. "Unfortunately due to a complaint Tamworth Borough Council have given me four months to remove the shed and stop trading." A Facebook campaign called Save the Cabin has nearly 700 members and is aiming to get to 1,000 members to help persuade the council to let Gina continue to trade from her garden office. Please do consider joining up.